Prague: The plenary debate titled ‘The Global Challenge of China?’ at the Forum 2000 saw CTA’s President Dr Lobsang Sangay and Theresa Fallon, Director, Centre for Russia Europe Asia studies deliberating on the topic, with moderator Toms Pojar, Vice president for international relations, CEVRO Institute, the Czech Republic on Monday. 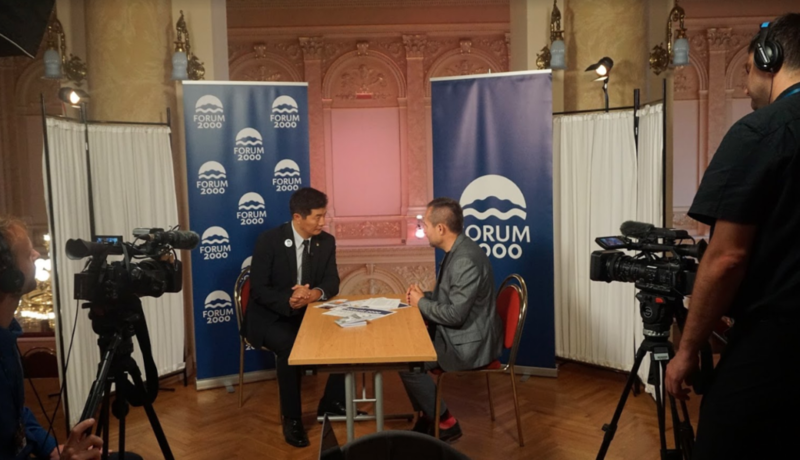 President Dr Sangay spoke on the censorship of information by the Chinese government at home and abroad. “The Central Propaganda Department of the Chinese government, agencies and private companies employ hundreds of thousands or even millions of people to monitor, censor and manipulate online content. According to the Freedom House’s Freedom on the Net report 2017, China was the world’s worst abuser of Internet freedom for the third consecutive year,” he said. Dr Sangay also touched on China refining its power tools to influence and shape knowledge production and dissemination in European countries as well. 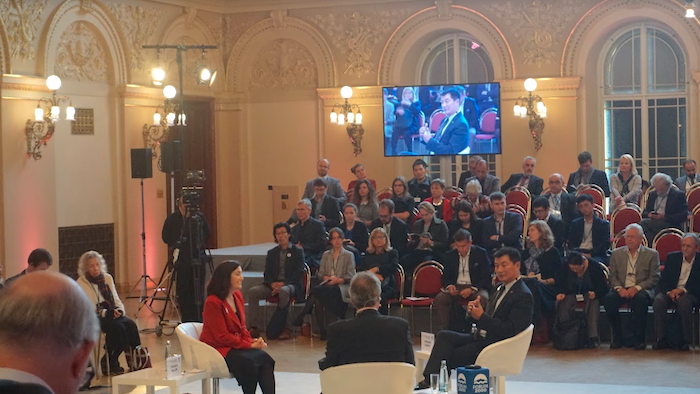 “China’s increasingly aggressive efforts to control the public discourse about itself, not only in China itself but in other countries as well is indicative of China’s vulnerability despite its rise in power. China misuses its power through propaganda to change its image instead of correcting its wrongdoings. China’s influence is notably visible in Australia, New Zealand, Europe among others through academia and the Chinese government’s mouthpiece, the Confucius Institutions in American institutions,” he added. 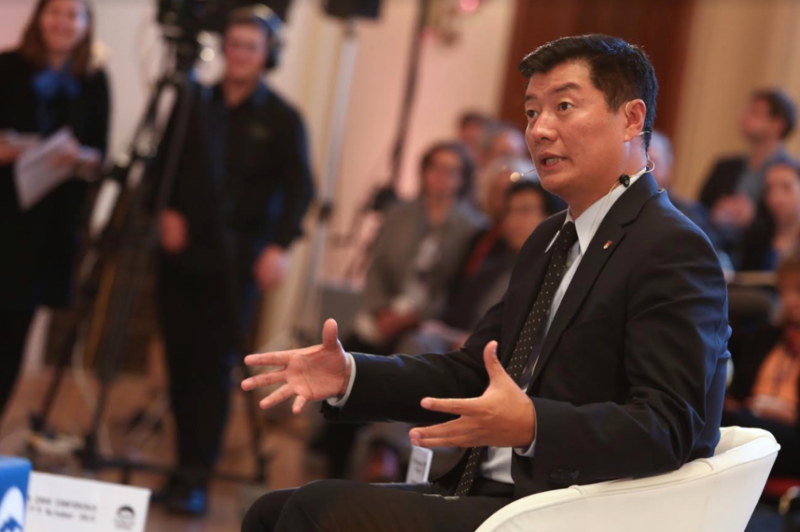 On PRC’s active promotion of its agenda on the global stage, President Sangay pointed out China protecting other human rights abusers and the creation of its own international institutions and projects such as the Asian Infrastructure Investment Bank and the One Belt One Road Initiative. 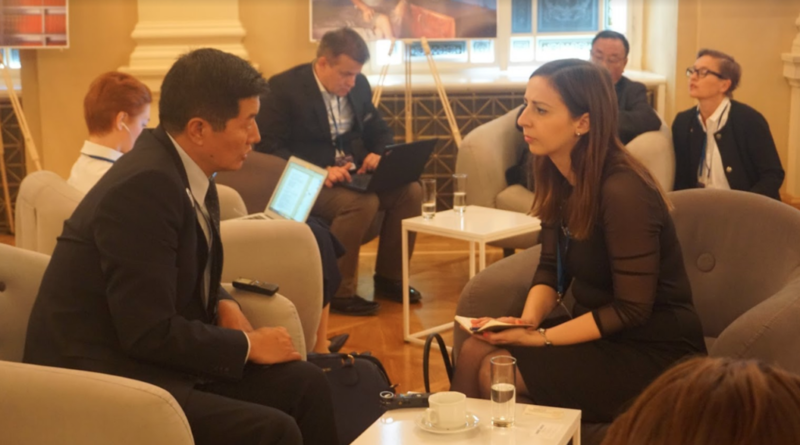 Dr Sangay urged the European countries to push for a reciprocity approach with the Chinese government. He questioned the imposed restrictions on the European reporters and journalists to freely visit Tibet. “Chinese journalists, academics and reporters visit Europe frequently, but why can’t the European reporters and journalists freely visit Tibet?” The US House of Representatives passed the Reciprocal Access to Tibet Act, which Dr Sangay said was a major development on the status of Tibet and US-China relations. 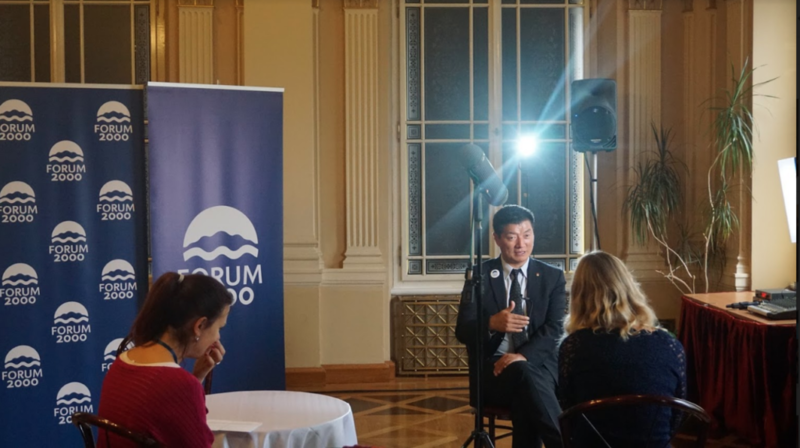 When asked about the possibility of democracy in China, Dr Sangay said Xi Jinping led Chinese government is adamant on continuing ‘Socialism with Chinese characteristics’. He said this is the Chinese government’s strategy despite Chinese people wanting democracy, human rights, environmental rights, etc. like any other human being would. Dr Sangay lamented that basic human rights, freedom of speech and freedom of religion are non-existent in Tibet as well as in China. Furthermore, the Chinese government’s flawed environmental and developmental policies have turned the resource-rich plateau and its fragile ecosystem into a hub of mining and dam building activities. This not only changes the water map of Asia for the worse but also creates an environmental crisis, which in turn contributes to climate change across Asia. The rising temperatures on the roof of the world make Tibet both a driver and amplifier of global warming. In the end, President Dr Sangay said what happened to Tibet last 60 years should not happen to the European Union and its people. He stressed, “What happened to us could happen to you. It is already happening and the Chinese government is already here in Europe. So it is for you to choose whether you want to be like Tibet and its people or not. I hope not. 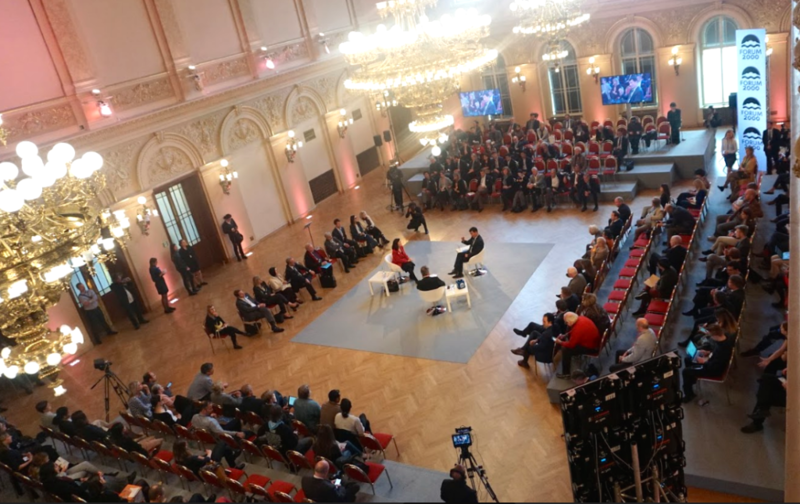 I hope what happened to Tibet does not happen in Europe and I came to remind you of that.” The panel discussion led by President Dr Sangay was the most viewed ever on the Forum 2000 social page. 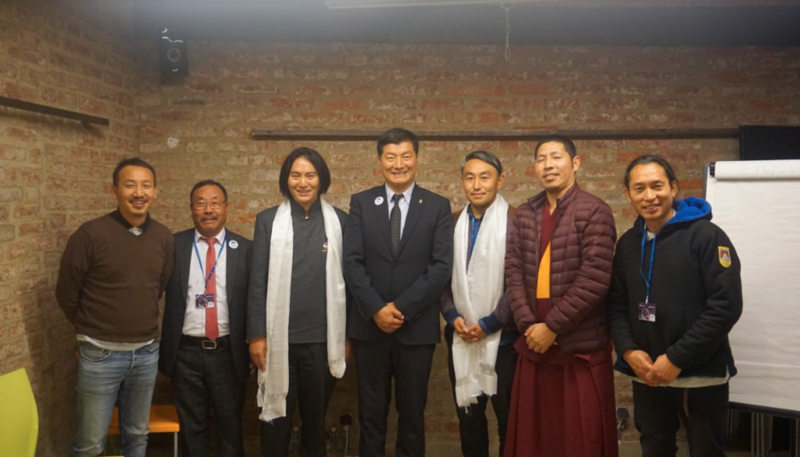 The Tibetan community in the Czech Republic on the advice of President Dr Lobsang Sangay and Representative Ngodup recently formed a Tibetan association and elected its first ever President and Vice President.